The Dargah trust said it will challenge the Bombay High Court's decision in Supreme Court. 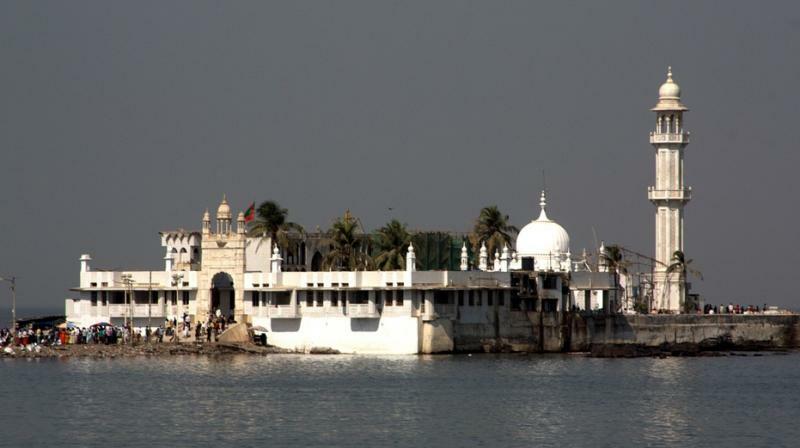 Mumbai: In a landmark decision, the Bombay High Court on Friday ruled that women have the right to enter the inner sanctum of the Haji Ali Dargah in Mumbai, calling the ban on their entry ‘unconstitutional’. However, the verdict cannot be implemented immediately as the Dargah trust had decided to challenge the decision in the Supreme Court. Based on a request made by the trust, the high court stayed its order for 6 weeks so that Trust can challenge it in the top court. "The ban imposed on women from entering the Haji Ali dargah is contrary to Articles 14, 15, 19 and 25 of the Constitution of India. Women should be permitted to enter the dargah on par with men," a division bench of Justices V M Kanade and Revati Mohite Dere said. Under the said Articles, a person is guaranteed equality before law and has the fundamental right to practice any religion he or she wants. They prohibit discrimination on grounds of religion, gender and so on, and provide freedom of conscience and free profession, practice and propagation of religion. Two women, Zakia Soman and Noorjehan Niaz, had filed the plea challenging the ban on women's entry in the sanctum sanctorum of the dargah. The court directed the Maharashtra government to provide women with necessary protection when they enter the dargah. The PIL filed them states that gender justice is inherent in Quran and the decision contravenes the Hadith, which proves that there is no prohibition on women visiting graves. The Maharashtra government had told the court that women should be barred from entering the inner sanctorum of Haji Ali dargah only if it is so enshrined in the Quran. The ban on women's entry cannot be justified if it is on the basis of an expert's interpretation of the Quran, the then Maharashtra Advocate General Shrihari Aney had argued. On whether the court can interfere in the customs and traditions of a religion, Aney had said, "If the religion (Islam) is going to fall if women are allowed entry, then the ban should prevail over fundamental rights." Advocate Shoaib Memon had said, "Women are not allowed inside mosques in Saudi Arabia. They are given a separate place to pray. We (trust) have not barred women. It is simply regulated for their safety. The trust not only administers the dargah but also manages the affairs of religion."